Pharma Franchise for Surgery Medicines – With the increased rate of surgery and medical treatment globally, the drug market for surgery medicines has also increased. There is high demand for these medicines and owning a business here means earning great profits. Penardo Biotech is welcoming all those who search for affordable pharma franchise for surgery medicines in their desired locations. You will be offered GMPc & WHO unit manufactured medicines that are used in minor to major sureties. These include a range of sedatives, local anesthesia, analgesics, antiseptics, anti-infectives etc. You will get affordable rates with a genuine assurance of better results. Surgery medicines have quite a frequent demand bringing greater profits for the PCD franchise distributor. Penardo Biotech is the best Pharma franchise company in India to 0fer better business opportunities. Our company is a well known and established name in the market for pharma franchise for surgery medicines across India. We have been dealing in multiple surgery medicines that bring better efficacy, results and maximum customer satisfaction to our PCD franchise vendors. Those who want to deal in PCD franchise business can join us on a monopoly basis and get a better income growth with coming times. If you want to talk to our representatives about the PCD franchise dealerships near you or in your favorite place then call us at +91-7056703730, (+91)-9855087879 for details. You can even email at penardobiotech@gmail.com for us to reach back to you. It is our promise that professional pharma marketing services will be served to you. They have good demand in bulk especially in specialty clinics and hospitals. Therefore, one good sale here will lead to higher income. These cover different therapeutic segments of analgesics, sedatives etc. One can surely, enter different markets at a time and enjoy greater demand. The profit margin is impressive and you get to expand wide as a PCD franchise owner. The range of medicines contains a vast variety of drugs that meet your different needs. We have covered different drug dosage administrations that will help in post-surgery, during and before surgery medicines. These consist of a wide range of tablets, capsules, majorly injectables, syrups, oral suspensions, powders, drops etc. They are approved by DCGI which ensures that you are provided with high quality and reliable drug medicines. Our medicines have been prepared in GMP & WHO units that are completely owned by the company. These drug ranges have been prepared to keep mind the patient’s needs and customer satisfaction. Best APIs is used in making under the guidance of experts who have years of deep expertise and experience. The range of medicines is then prepared using hi-tech modern machines and devices. Symptom-reducing medications like Anti-nausea, acid reducer etc. Looking for genuine and high-quality medicines and products range used in surgery? 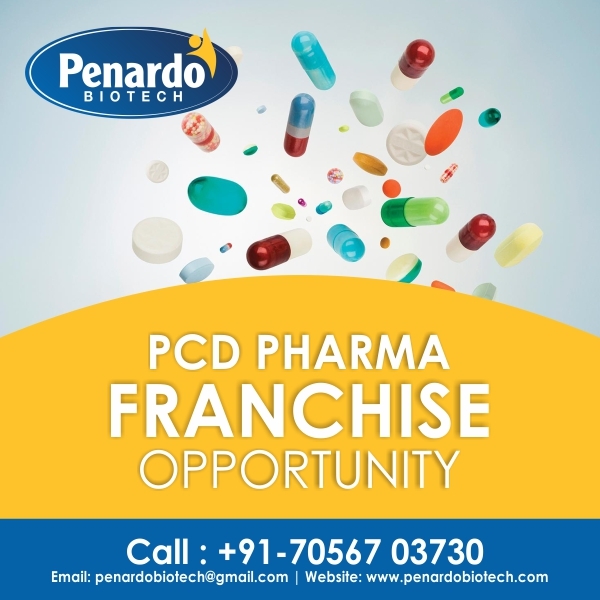 Contact with Penardo Biotech for PCD Pharma Franchise opportunities open all across India. You will get here good business where you can earn double the profit.